I’m more than aware the fact I own a ridiculous amount of shoes - More than an average girl my age for sure. I was thinking about streamlining my wardrobe - I kid myself but it’ll never actually happen. Although it did get me thinking about if I could have 4 pairs of shoes which ones would I keep. One pair of heels, boots, flats and trainers. I’m not really a flat shoe girl but I would 100% go with my brand new Office Kandy Shoes. I love their modern geometric shape and how flattering they are on my feet. They are simplistic but stylish and a statement shoe in their own right. While I probably own comfier flat shoes I would totally pick these ones over the rest. If I was to pick one pair of boots then I think I’d need to think about it. I have countless pairs of boots that I genuinely do love and wear on a regular rotation. After a little bit of deliberation I settled on my Vagabond Dioon Chelsea Boots. It was a close call between these and my lace up Dioon boots but the Chelsea style just beat them. The perfect height, they go with pretty much everything and are the ideal versatile shoe. I can wear these all day and walk around for ages without my feet hurting. Skate shoes had a big revival in 2014 and I for one really embraced that trend. My wardrobe is full of an assortment of different ones. If I was to pick one pair of trainers to wear for there rest of my life then I’d go with my snakeskin Topshop Tika 2’s. While not strictly in the trainer camp these babies are my go to comfy casual shoe. I do have a soft spot for my Nike’s these ones are more wearable and sit oh so naturally into my day to day dressing. For heels I’d choose my New Look duo toned block heels. I don’t think you can get these anymore but they are honestly my go-to heels. As I’m pretty monochromatic in my dressing anyway these seem to go with pretty much every outfit I wear. I like to wear them with dresses, trousers or skirts. They are the perfect height as they don’t make me feel too tall or too small and they never hurt my feet after dancing the night away. So thats it. The 4 pairs of shoes I'd keep if I had to really cut down my shoedrobe. As I said this isnt happening anytime soon for me but it's fun to consider which shoes you own which you get the most wear out of. I probably wear each of these pairs at least one a week without fail and couldn't live without them. What are your must have shoes? Which ones could you not live without? Let me know in comments! 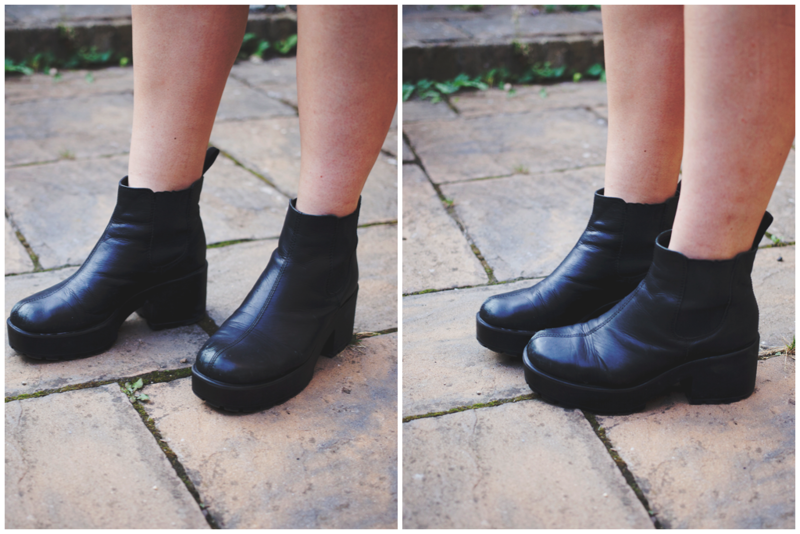 I do love the vegabond boots and new look heels, they are such simple pieces that will go with anything! In love with the Tika 2 Shoes - They look so comfy and will go with everything! Love the Vagabond pair, we don't know how you cope with the Topshop skate shoes, they literally rip your feet to shreds! By the way, I'm new to this world of blogging and it would mean a world to me if anyone checked out my blog :) Thanks! Fantastic picks! I don't think I could ever cut my collection down to just 4 pairs! I love them! They are gorgeous! I love my Vagabond Dioon's so much! I need to invest in some more for winter! The last heels scream 'perfection'! I totally get why you couldn't give them away. You really chose something for each occasion! I absolutely love those heels, they also look really comfy. Love your shoe collection Lily! Great selection, I definitely couldn't choose four favourites! Love the flats so much ! I genuinely thought you were selling off some of your shoes! Interesting article. The bottom of my wardrobe is covered in way to many shoes but I'm not sure I'd willingly get rid of any. This seems like a really good capsule collection! Love your picks. I own too many shoes too and sometimes I feel bad because it's way too much and there's a lot of them I don't wear (it's always "they're too tight" "they're too big" "they hurt"). Your black boots are just perfect. 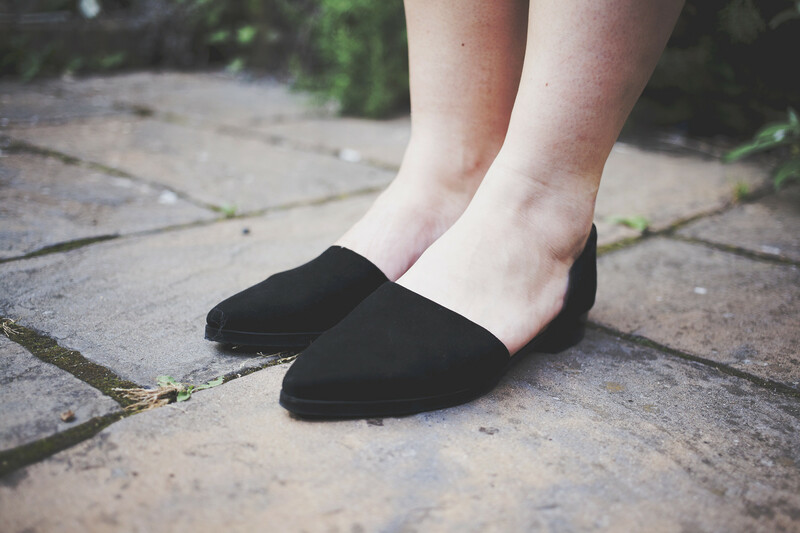 Like this idea for a post :) I couldn't live without my heeled mules- they instantly smartened up an outfit and are comfy enough to wear day to night. Wow!Such a nice collection you really have!I think, best boots for women should be alike; sun protective,comfortable,stylish.It seems also cost effective. The last heels scream 'perfection'! I totally get why you couldn't give them away. You really chose something for each occasion! Such a nice collection you really have! I think, Best Work Boots should be alike; sun protective,comfortable,stylish.It seems also cost effective.